Jenn Air — Shop for deals on furniture, sofas, recliners, dining sets and more! Since 1989, Jenn-Air has proudly retained the consumer No. 1 preferred cooking product rating. 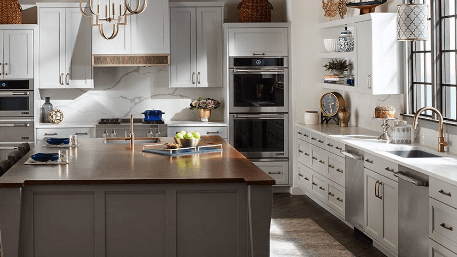 From it’s introduction of the first self-ventilated cooktop in 1961, Jenn-Air appliances have offered high performance along with enduring styles fit for the most import kitchen: your’s. 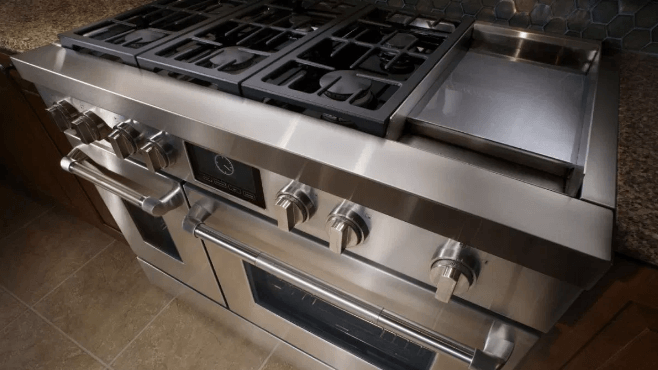 Along with downdraft cooktops, Jenn-Air also brought convention cooking to everyday homes. 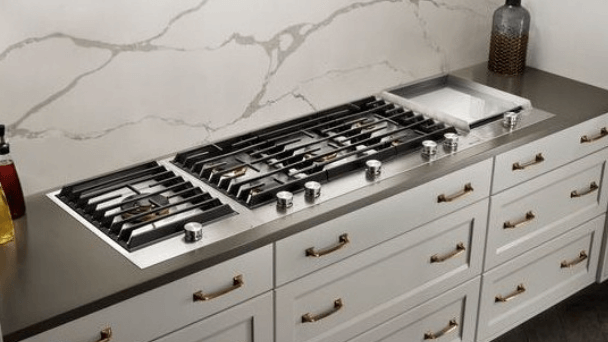 With a history of innovation behind them, Jenn-Air strives to take luxury designer kitchen items to a whole new level. Sophisticated styling, cutting edge technology, and exceptional performance, Jenn-Air products are designed to not only beautify your kitchen but also take your cooking and entertaining skills to impressive heights. 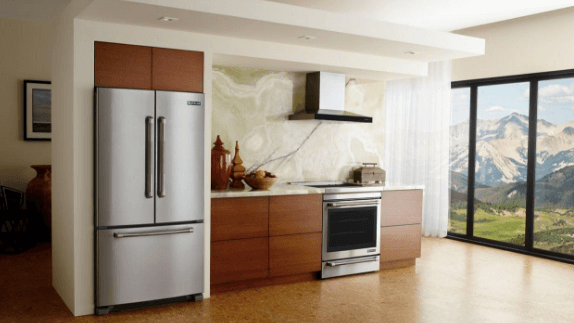 Test out their built-in fridge in our showroom, which has been ranked #1 for the past four years running. Complement that with their ingeniously designed coffee system that brews robust coffee, incredible cappuccinos and rich lattes on demand. Invest in a Range, customizable with griddle and MultiMode Convection System to bring home an all-in-one system that you’ll be cooking on for years to come. Jenn-Air’s duct-free downdraft venting is like nothing you’ve ever seen, making it an ideal solution in high rises and other kitchens with installation restrictions or ducting limitations. For the wine enthusiasts, Jenn-Air carries specially designed UV-Resistant thermal glass doors that filter UV rays that can prematurely age wine and bleach labels while providing the perfect internal temperature and storage. Finally, make clean up a breeze with their exceptionally quite dishwasher, complete with sound insulation for undetectable cleaning. Promoted by renowned Chef Mark McEwan, Jenn-Air products look for creativity and innovation that matches the most professional chefs in the world. With technology such as smartphone connected heating and monitoring from an app to their oven, or a dynamic touch-screen on their appliances, you can navigate through your kitchen with ease.